When you resign from your job, it is important that you follow proper resignation etiquette. 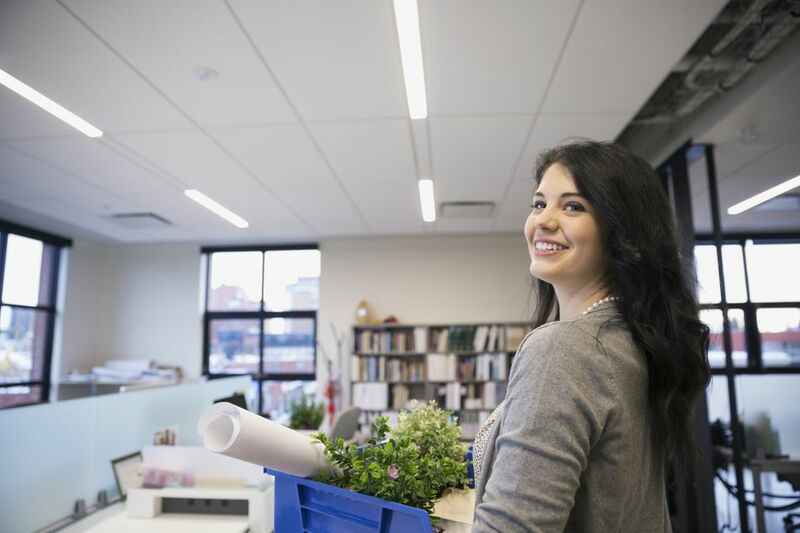 How you leave your job can impact your future employment. If you maintain a positive, professional relationship with your former employer and your colleagues, you are more likely to get positive references, helpful networking advice, and more. Read below for advice on how to resign with class and move on from your job gracefully. Before you head out the door, there are some things you should do to make sure you leave on the best note possible. Review 15 tips to ensure a smooth departure. Before you quit a job, you should be very sure that resigning is the right choice. Hating your job might not be a good enough reason to quit unless you have another job lined up. That being said, there are legitimate reasons for quitting your job. There are also circumstances beyond your control where quitting may be the option. Here are good reasons to resign. When resigning, give resignation notice to your employer ahead of time, write a simple resignation letter, and then say goodbye to your colleagues. It's good resignation etiquette to tell your supervisor you are resigning before you tell your co-workers. You don't want the company to discover that you're quitting through the grapevine. Read here for more advice on how to resign with grace. How should you resign from your job? Perhaps even more importantly, how should you not resign? What are things to avoid? I've seen resignations mishandled, including when an employee yelled "I quit!" and walked out the door and, in another case, where an employee left a note on her supervisor's desk saying she wasn't coming back. Here are resignation etiquette do's and don'ts. Follow these tips so you can avoid resignation etiquette mistakes, and resign the right way. Giving two weeks notice is standard practice when resigning from a job. However, if you have an employment contract or union agreement that states how much notice you should give, follow those contract guidelines. Otherwise, unless there are circumstances that make it impossible to stay, good resignation etiquette includes providing your employer with two weeks notice. Here's a sample resignation letter giving two weeks notice. When you tell your boss you are quitting (either in person or a letter), there are some things you need to say, and some things you should leave out. For example, you should tell your boss the exact date you are leaving. You should not tell your boss that you were unhappy with the position. Here is advice on what to say when you quit your job in person or via a resignation letter, as well as what you can expect to hear from your supervisor when you resign. When you resign, it is proper etiquette to tell your boss in person, and then follow up with a formal resignation letter. How you write a resignation letter is important, because it is important to try to stay on good terms with the company you are leaving. It's important to include information on when you are leaving, and why. However, it's also important not to say too much in your resignation letter. Review sample resignation letters to get an idea of what to include in an employee resignation letter. How you write a resignation letter is important for a couple of reasons. First of all, you may need a reference from the employer in the future, so it makes sense to take the time to write a professional resignation letter. It's also a document that will become part of your employment file, and it should be written accordingly. Along with looking at sample resignation letters, you can also use these resignation writing tips. It's almost always better to resign in person, and then follow up with a formal resignation letter for your employment file. However, sometimes circumstances are such that you need to send a resignation email. For example, perhaps you have to alert your employer to your resignation quickly, and email is the best method. Or perhaps your company policy states that you should resign via email. Whatever the reason, there are steps you can take to resign via email professionally. Here's how to resign via email. It's usually not good resignation etiquette to resign over the phone. However, if you are unable to resign in person, quitting over the phone or via email is an alternative. Do keep in mind, if you tender your resignation over the phone and don't plan on working any more days, it may cost you a reference. Here's how to resign over the phone if you have to. It is good resignation etiquette to say goodbye to your colleagues before leaving work. However, make sure to do so only after you have told your boss that you are leaving. Depending on your relationship with your colleagues, you might say goodbye via email or in person. Here's how to say farewell to colleagues and clients to let them know that you are resigning from your job. When you resign from a job, it's important to check on compensation due, your last paycheck, benefits, pension plans, and possible references. It can be harder to do these things later after you have already left the company. Use this resignation checklist to make sure you've got everything covered.